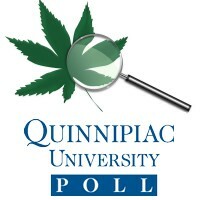 A recent Quinnipiac University national poll of 1,561 registered voters in the USA reveals broad acceptance of medicinal marijuana. Results indicate 89 per cent of American voters support the notion of adults being permitted to to legally use medical marijuana if prescribed by a doctor. Specifically in relation to veterans suffering Post-Traumatic Stress Disorder, 87 per cent support U.S. Veterans Administration doctors being permitted to prescribe marijuana in pill form, with just 9% opposed. “If you serve your country and suffer for it, you deserve every health remedy available, including medical marijuana in pill form. That is the full-throated recommendation of Americans across the demographic spectrum, including voters in military households,” said Tim Malloy, assistant director of the Quinnipiac University Poll. There has been some progress in the USA regarding the use of medical marijuana for treating PTSD. In April, a US non-profit group was awarded a USD $2.156 million grant to perform the first clinical trial of whole plant marijuana for PTSD treatment. In May, The U.S. House of Representatives approved an amendment enabling veterans to access medical cannabis therapies through Veterans Affairs. Other research is also being carried out at the University of Calgary in Canada to investigate anecdotal evidence suggesting cannabis is a useful treatment in treating Post Traumatic Stress Disorder. PTSD is a condition affecting many people – and not just those in the military. It can be triggered by any traumatic event; such as being involved with or even witnessing a car accident. According to Beyond Blue, approximately 12 per cent of Australians will experience PTSD at some stage during their lifetime. The condition is often accompanied by overwhelming feelings of negativity, sleeping problems, self-destructive behaviour, the tendency to isolate and being quick to anger. Treatment may involve counseling, but also medication. Benzodiazapine and anti-depressant medications are commonly used; which in the case of the former carries the risk of dependence. Trivia: the term “thousand yard stare”, coined for the vacant, unfocused gaze of battle-worn soldiers, may be a symptom of PTSD.